New Delhi : From a long time, countries have been claiming that Pakistan is a hub for all the terrorists. 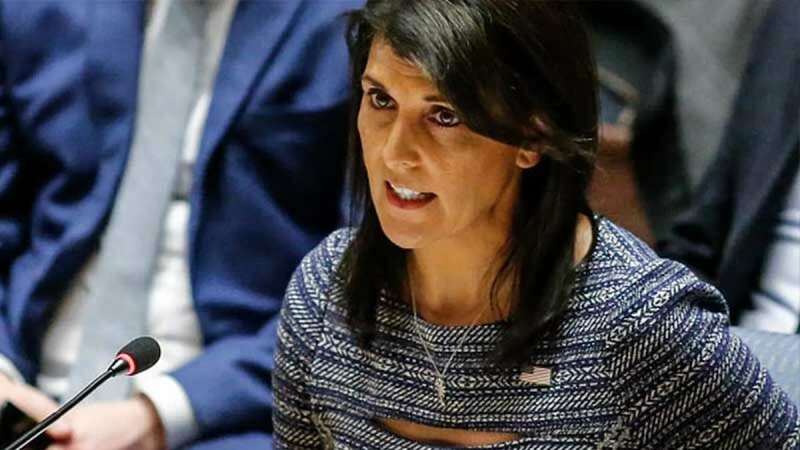 Now, Indian-American former US envoy to the UN Nikki Haley has said that America must not give any aid to Pakistan until it stops harbouring terrorists on its soil. She also praised Donald Trump government for restricting financial assistance to the country. Haley, introduced a new policy group 'Stand America Now' that will have a prime focus on how to make America safe, strong and prosperous. "it is more than fair to ask what the US gets in return for our generosity." "In 2017, Pakistan received nearly USD 1 billion in US foreign aid, the sixth most of any country. Much of the aid went to the Pakistani military. Some went for road, highway, and energy projects to assist the Pakistani people," Haley wrote in the op-ed 'Foreign Aid Should Only Go To Friends'. Haley had stepped down as the US envoy to the UN at the end of last year.